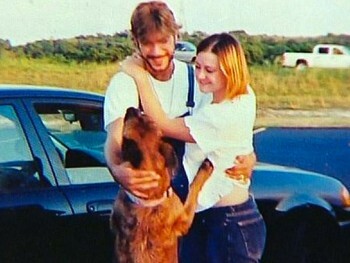 Kathryn and Jeremy Medlen’s history with their dog Avery began when Kathryn adopted Avery from a homeless man. The facts of this specific case, however, begin when Avery escaped from the Medlens’ backyard during a thunderstorm on or around June 2, 2009. Avery was soon thereafter picked up by animal control. Jeremy Medlen went to the animal shelter, Fort Worth Animal Care and Control, to recover Avery but did not have enough money with him to cover the fee in its entirety. Jeremy was informed that he could return to retrieve Avery on June 10th, and a “hold for owner” tag was placed on Avery’s cage, which was intended to protect Avery from being euthanized. On June 6th, Carla Strickland, an employee at the shelter placed Avery on a “to be euthanized” list for the following day, despite the label on Avery’s designated cage. On June 7th Avery was euthanized. When the Medlen family returned a few days later to get Avery, they were told he was put down. The Medlens brought suit against Strickland, asserting that the employee’s negligence proximately caused Avery’s death. The Medlens specifically sued for Avery’s “’sentimental or intrinsic value’ because he had little or no market value and was irreplaceable.” In an amended complaint, pursuant to the trial judge’s order to “state a claim for damages recognized at law,” the Medlens re-affirmed their grounds for damages in Avery’s “intrinsic value.” Carla Strickland excepted; the trial judge agreed and dismissed the suit; and the Medlens appealed. While this story brings hope to animal lovers alike, veterinarians are displeased. Both the American and Texas Veterinary Medicine Associations have plans to appeal this ruling. Strickland’s counsel commented that this decision will create new causes of actions against vets. How asinine that the vets would be worried! Are they afraid that they might be held accountable for wrongly or hastily “euthanizing” a healthy animal when it might be morally or ethically wrong to do so such as when a humane society or animal control pays them to do it!? Congratulations to the intelligent ruling of the Second Court of Appeals. And I hope humane, justice-seeking veterinarians in Texas and elsewhere who oppose the irresponsible appeal intentions of the AVMA and TVMA will make their views publicly known. Veterinarian associations (please note the first 3 letters of the word ASSociation) are the worst offenders when it comes to animal cruelty because it’s just a business. I agree that the good vets should stand up for once for the animals that give them a job and without whom they might be unemployed. I applaud the attorney for the family and the 3 judges for going against big business and in favor of basic human decency. It’s about time that the ruling for mistakenly euthanizing a family pet goes the right way for the guardians of the dog. We need to start protecting animals for reasons like this.. I tried going after a vet here in Ct who misdiagnosed my boxer and in the end I had to amputate his back leg to save him. I am thrilled to see that for once the same industry that has its cake and eats it too will be playing on the same field as all the rest of us. A landmark case for all animal lovers and I hope the breach in the dike that will further animal welfare. There is no reason why a situation like the Medlens’ should not be compensated with a damages award based on sentimental value. While it is true that courts have avoided considering sentimental value when calculating compensation awards for the loss of a pet, the same is not true for the loss of other types of chattel generally considered to hold sentimental value for the owner. Common law has always recognized that certain chattel, such as wedding photos, hold a sentimental value that far exceeds its market value, and have calculated compensation awards for their loss or destruction accordingly. It should be no different for the loss of living, loving pet companions, which are also considered (and otherwise treated as) “chattel” under the law. The Second District Appellate Court’s November 3rd ruling thus brings American jurisprudence closer in line to one of this country’s fundamental legal tenants and should be lauded. IT’S TIME SHELTERS AND VETS WERE HELD ACCOUNTABLE FOR THEIR SO CALLED MISTAKES. TOO MANY DOGS ARE BEING KILLED BY MISTAKE! THIS IS TOTALLY UNACCEPTABLE! Hooray for the court making that decision. If shelter workers are held accountable for their mistakes, maybe they will learn to pay more attention and care more about the job that they are supposed to do. I know that not every shelter employee is represented by this person. I hope they throw the book at her , and hold her financially responsibile for what she did. If she doesn’t care anymore than that, she should not being doing that job!! I am the attorney for the Medlens and thought your readers may like an update on the case. The other side has appealed the case to the Texas Supreme Court. According to their brief, the court of appeals decision will spell the end of the pet product industry and the practice of veterinary medicine as we know it. If juries are allowed to consider the sentimental value of companion animals that are killed the resulting multi-million dollar verdicts will dramatically drive up the costs of liability and malpractice insurance and put countless pet product companies and veterinarians out of business. The Texas Veterinary Medical Association is paying the city’s attorney’s fees to appeal the case. Amicus briefs have been filed by the TVMA, the AVMA, the AKC, and virtually every pet industry trade organization in the country.